From the sublime to the ridiculous. Actually, both these dishes taste great, but one is utterly earthy and virtuous, the other Junk food with a capital j. On top of that nettle soup needs serious time investment – foraging and washing the nettles before you can cook the soup. Oreo bananas on the other hand is a non-recipe that’s ready in under five minutes. You may already have all the ingredients at home. If you don’t, and think Oreos are a crass agribusiness marketing con, you are probably right. But you may find, like me, that crushed to a black rubble they taste better, less sweet somehow, than they do whole. The crunchy contrast to smooth banana slices can be very pleasing. 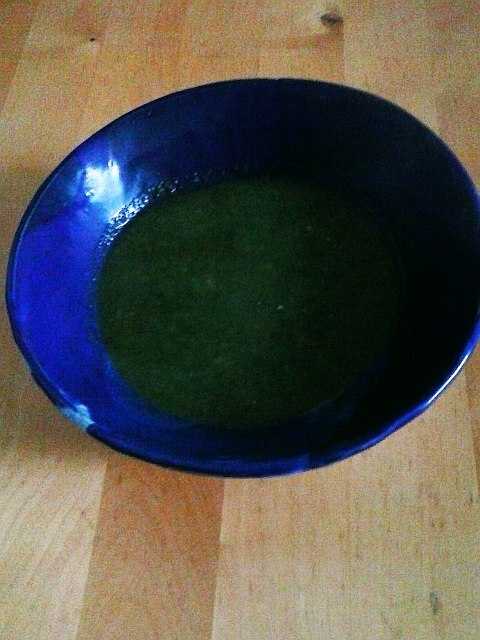 Especially if you want to avoid feeling too holier than thou about the hunter gatherer soup. PS Yes, it’s soup again. Such a soothing dish with so many variations, wouldn’t you say? I will skip the roast pumpkin soup I made on market day. Next week’s recipe is going to chocolate cake with fudge frosting. Once you are home, put on some rubber gloves or plastic bags again, pick over the nettles, discarding tough bits of stalk. Rinse thoroughly and drain. Sweat the onion and potato in the olive oil over a very low heat for ten minutes. 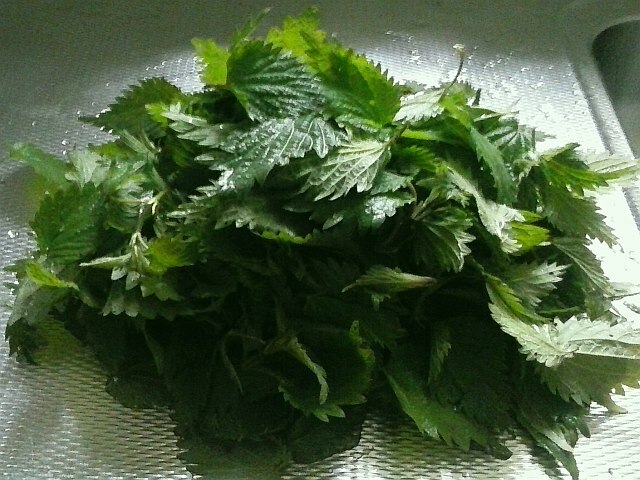 Add the nettles and enough water to barely cover. Cover and simmer for half an hour. Add the stock cuble and blend to a smooth soup. Crush the Oreos with a rolling pin or in a food processor to rough crumbs. 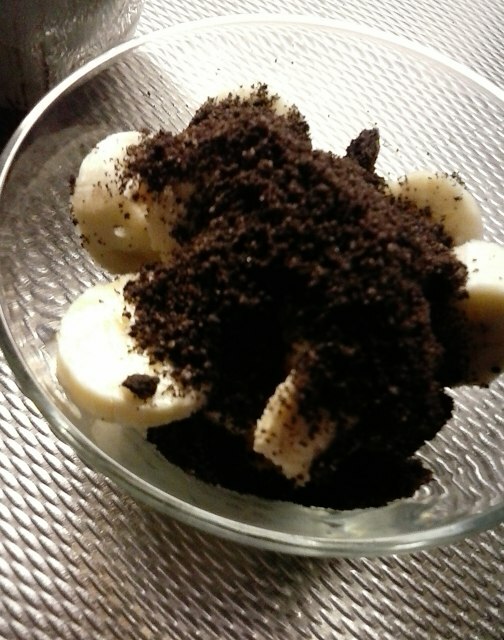 Divide the ice cream if using over three bowls, add the banana slices and sprinkle over the crumbs. If using cream instead, pour a little over each dish.